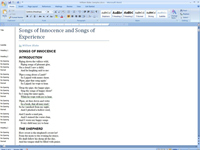 1Make sure you're looking at your document in either Draft View or Outline view. 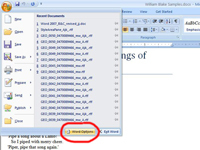 In the bottom-right corner, next to the Zoom slider, are five buttons that control which view you’re using in Word. 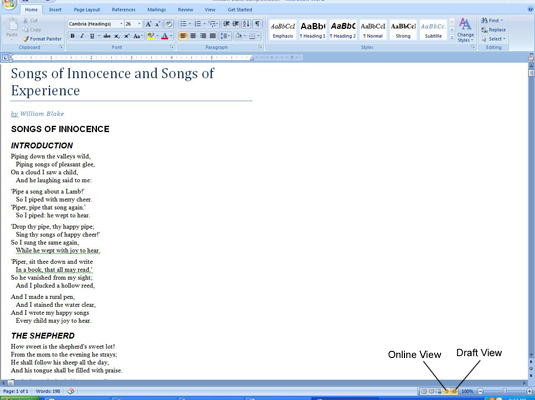 The Style Area pane will appear only in either of the last two view options. 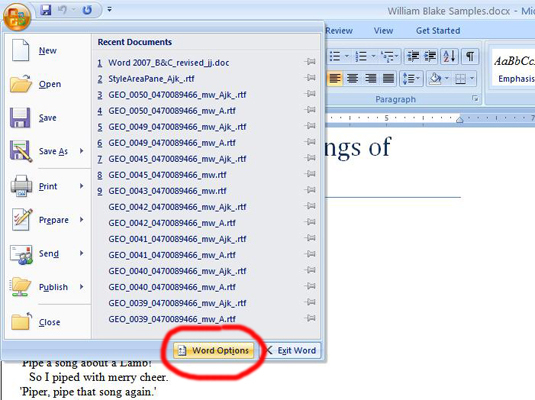 2Click the Office button and choose Word Options. 3Click the Advanced tab on the left. A lot of Word’s options will appear on the right. 4Scroll the section on the right down to the Display section. The Display options are about halfway down. 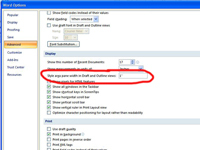 5Enter a number in the Style Area Pane Width in Draft and Outline Views text box. You can quickly resize the Style Area pane while you’re working, so you don’t need to give too much thought to the size measurement you enter here. It’s easiest just to make it one inch wide for now. 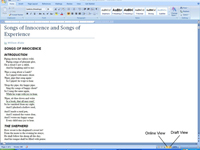 You return to your document. You should see the styles listed along the left side. 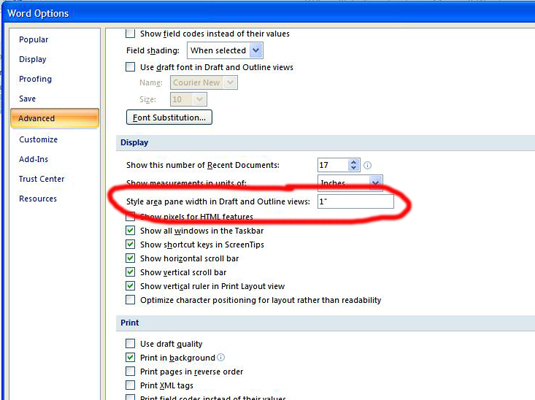 7Hover the mouse cursor over the line between the document and the style pane until it becomes a two-headed arrow; then click and drag the style pane to whatever size you need. 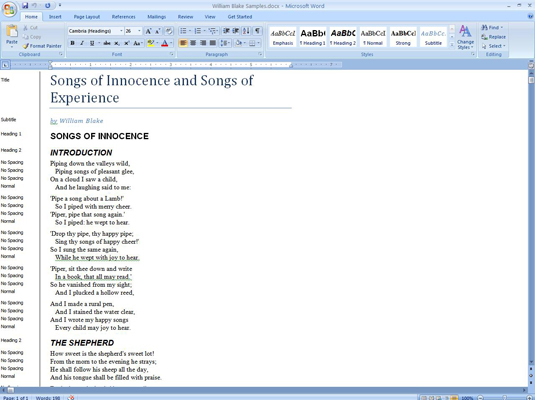 Now you can always see what styles have been applied to the paragraphs in your documents.